MRR Design wheels attended Spocom San Diego on Saturday, September 22, 2018. Located at the Del Mar Fairgrounds, this Spocom tour had a car show both indoors and outdoors. The show opened at four o'clock in the afternoon but MRR wheels had to roll in the morning for preparations. Through the show spectators came by and a fair amount of ladies came by our booth to take pictures of our showfloor Camaros! 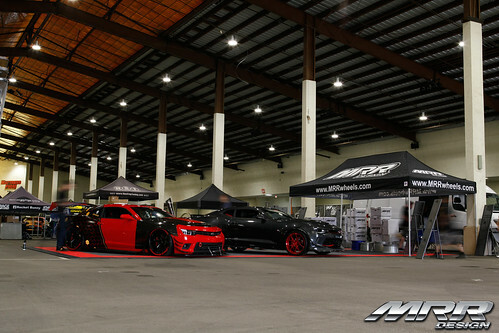 Thanks to ghosteye07 and rddemon for representing our wheels at the showcase booth. Check out our full photo gallery on our flickr page or with the link below!